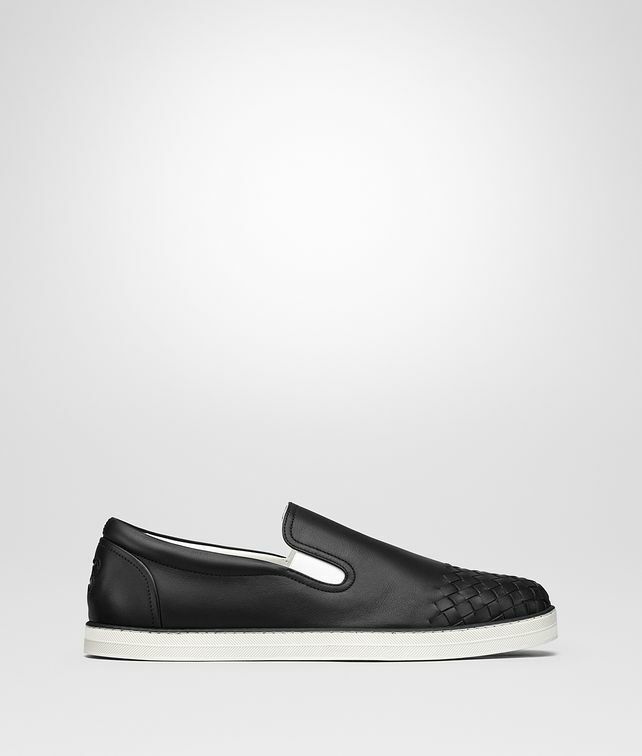 Combining a sporty allure with refined materials, these slip-on sneakers are particularly versatile. The upper is crafted from smooth calf leather with hand-crafted details. The rubber box sole, engraved with a sophisticated chevron pattern, is designed to be particularly slim and flexible. Stretch inserts ensure a comfortable fit. Personalized with the signature butterfly logo in intrecciato on the heel.